Mm-mmmmm, there’s not a lot I don’t like about breakfast as a meal. In fact, I can’t think of anything besides the fact that I have to get out of bed to get it, although even that can be arranged… Mr B? If you’re reading…? Breakfast gets even better when it’s out and with friends on a Friday morning before work to brighten the rest of the day. The European is up next to the City Wine Shop on Spring Street, in that little stretch of brilliant places to wine and dine at all hours of the day near the Princess Theatre. The girls I was breakfasting with had both been there before, and I eagerly tagged along at 7.30am one morning. Eager is a strong word when used about 7.30am breakfast timings, but you see the lure of breakfast is enough to make me keen on anything. We ordered coffees first, which came reasonably quickly. I wasn’t that enthused with my flat white, it tasted a little burnt, although not being a coffee connoisseur you should take this opinion with a grain of salt. Muesli you don't make at home. Ordering the bircher muesli is out of character for me, since I’m usually all over savoury egg based dishes like a rash when it comes to breakfast out. However, on this occasion it was justified. 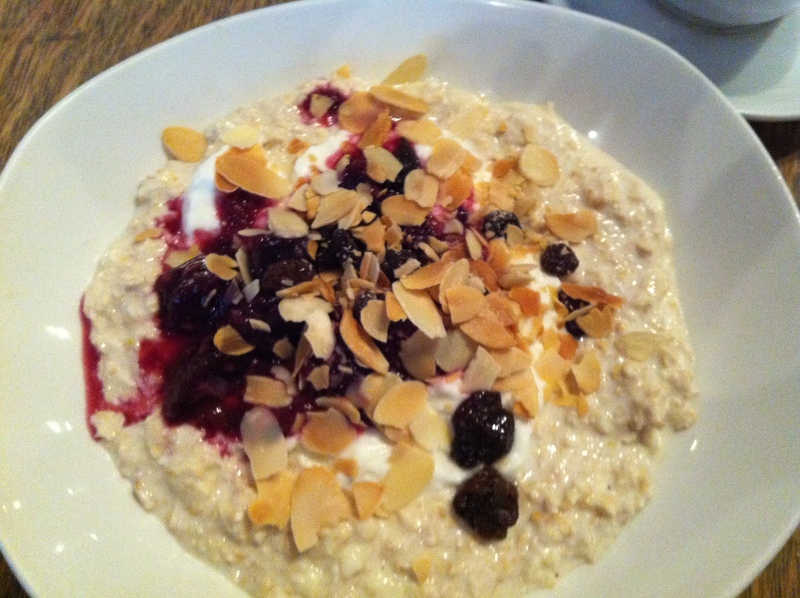 The bircher muesli wasn’t too sweet, but the mixed fruit compote and almonds certainly gave it a je ne sais quoi, to get all European on you. Here’s another picture of my glorious bowl (which filled me up until lunchtime). Flaked almonds on top could quite possibly make ANY dish a winner in my opinion. My housemate ordered toast. She may have done so because our toaster had blown up the week previously. Well, not exactly blown up, but every time the lever is pushed down it short circuited the house, which is not conducive to delicious grilled crunchy bread. (Don’t worry, I’ve bought a new toaster since then.) 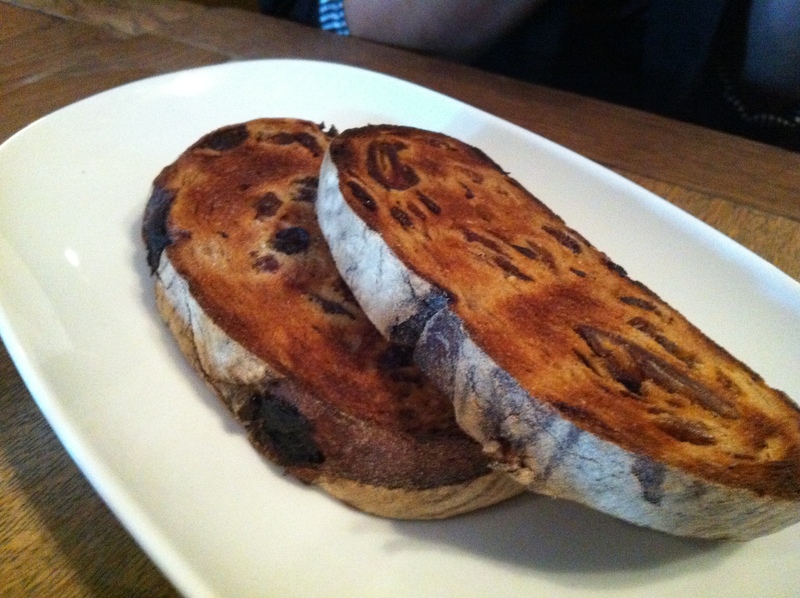 The toast came with spreads. Not much more to say about it other she liked her breakfast. The other person in this trifecta of breakfast awesomeness, S, ordered bruschetta with mushrooms, poached egg and rocket. My photo doesn’t do it justice – when this came I was instantly jealous (although my muesli was good) – table for one, food envy! 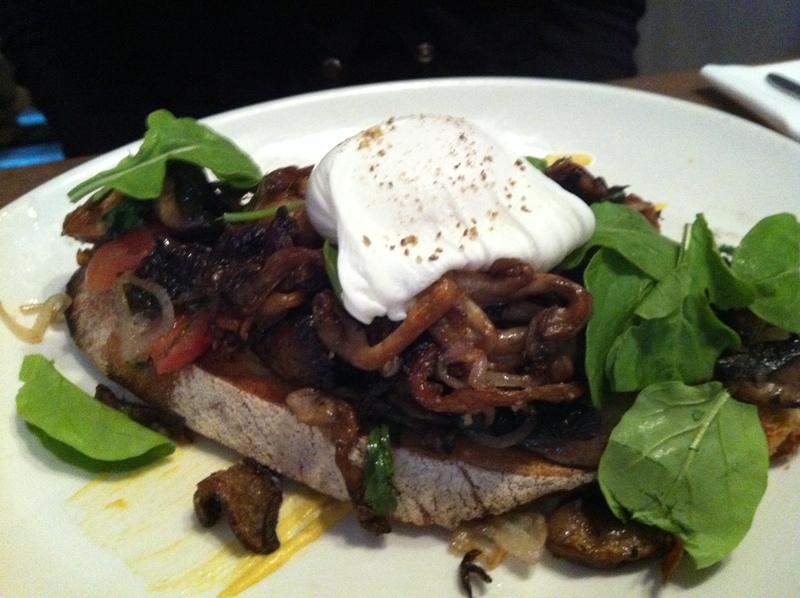 Large amounts of mushrooms, a perfectly poached egg, and crunchy bruschetta underneath. All in all, staff were lovely, our breakfasts were reasonably priced, delicious and hearty (well I’m not sure about the toast, but each to their own) and I’d go back any old time. Good work, the European! Tags: bircher muesli, breakfast, brunch, brusschetta, eggs, toast. Bookmark the permalink. i like this place for late-night drinks and munchies. 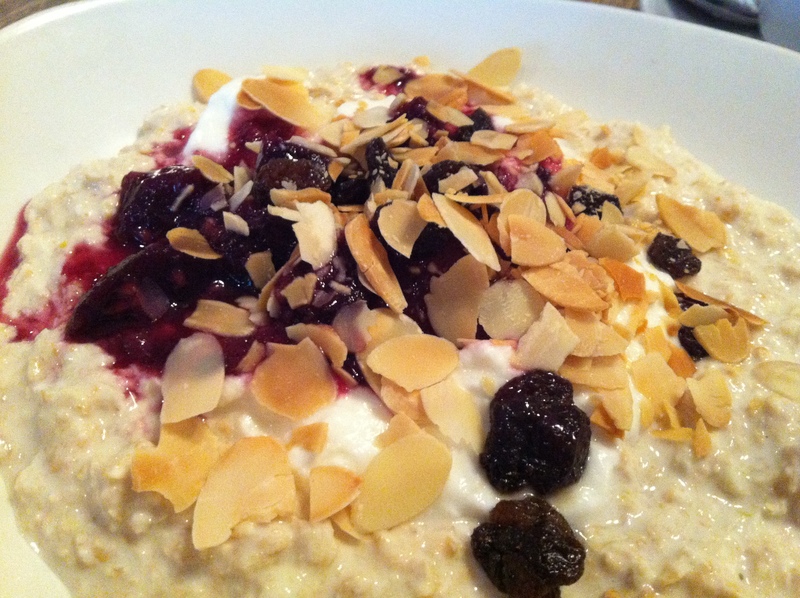 I guess I’ll need to make a breakfast visit soon because that bircher looks delicious! I strongly approve of this plan!